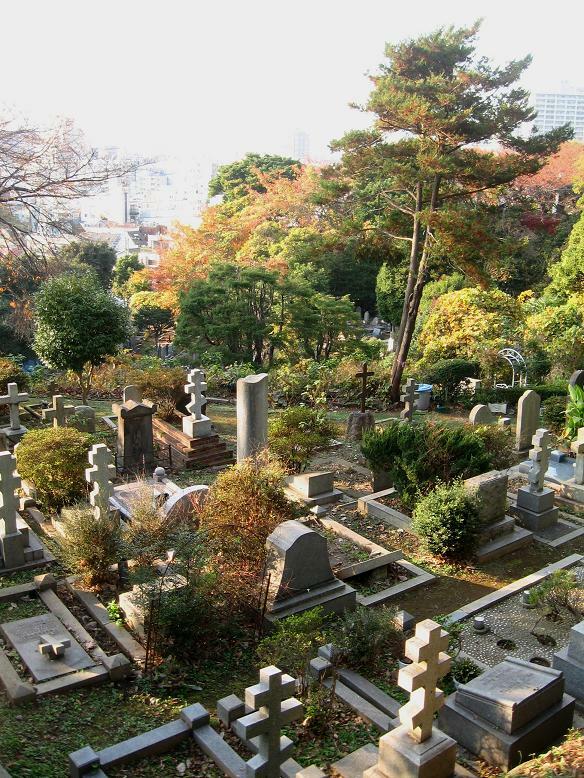 The Yokohama Foreign General Cemetery Foundation opened up a small section of the grounds on The Bluff to the general public today. The tilting graves from 19th century spoke of sudden death by disease and accident, of dispatches to fetid and disorderly ports to impress a fine Christian imperialism upon the peoples of the globe and of the strange wanderings suddenly made possible by the age of steam. 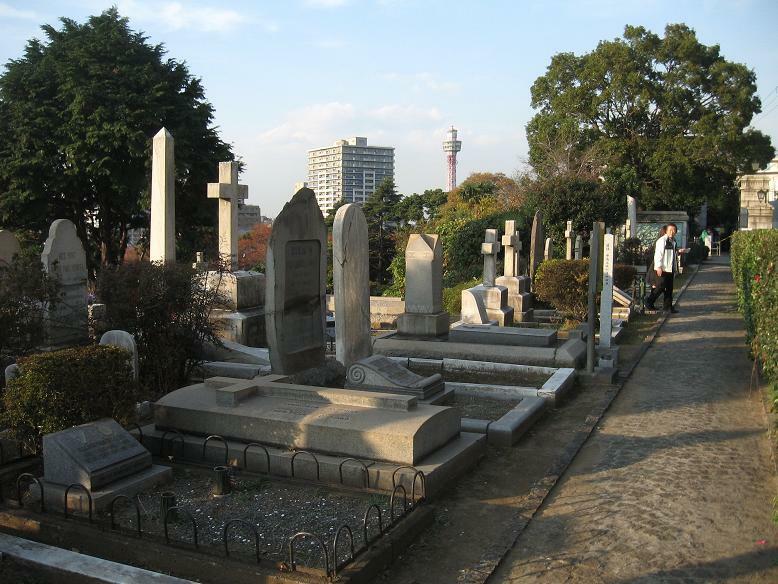 I was surprised by the number of graves of foreigners born in Yokohama in the late 19th and early 20th centuries with French-, British- and American-sounding surnames whose death dates were well after 1945. Where did these people all go during the War? What did they have left after it ended? It was not all solemnity and introspection in the graveyard, however. 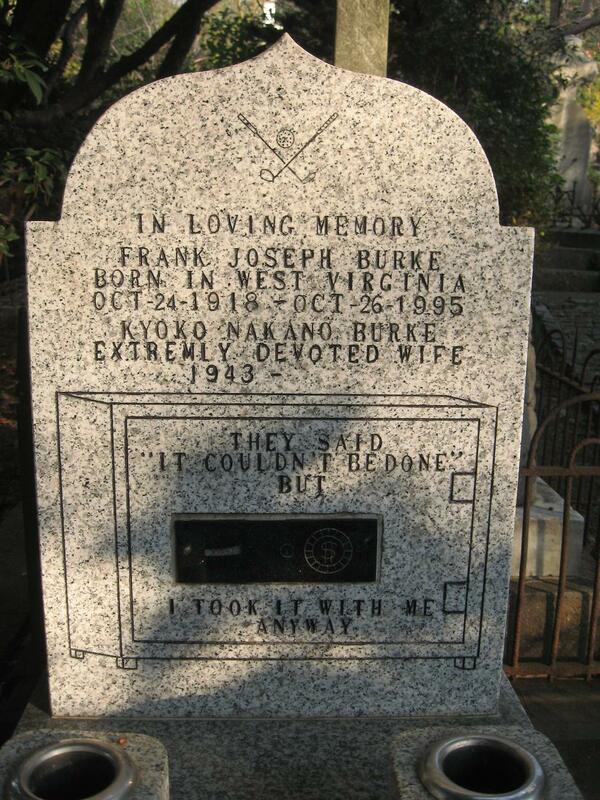 Frank Joseph Burke must have been quite a character. His wife, 25 years his junior, seems to be still with us--and must be a saint. Not every wife is ready to spend eternity underneath the image of a safe, a dollar sign, crossed golf clubs and a golf ball. I note the misspelled adverb. "Extremly devoted" indeed! Are there still graves in the Foreigner's Cemetery from the 19th century? I was told that they were all destroyed in the Kanto earthquake of 1923.